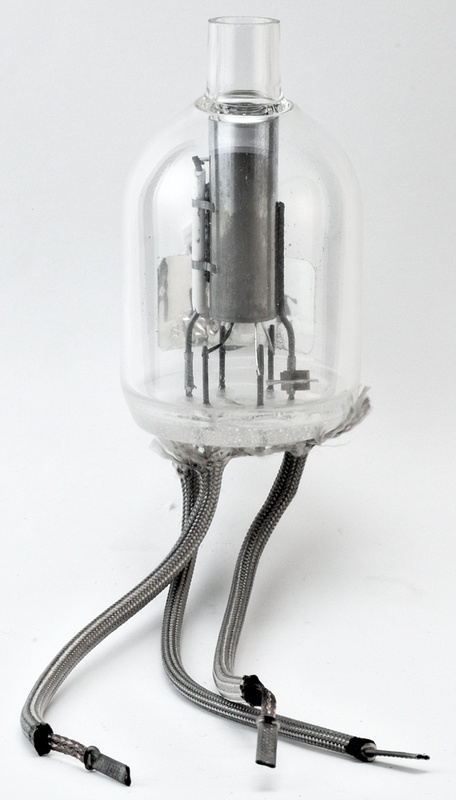 This tube is used to detect minute quantities of halogen or halogen compound gasses in the air. It consists of two concentric cylindrical electrodes, an inner cylinder heated to about 800°C by an internal heater, which is the anode, and an outer cylinder which acts as the cathode. A voltage of 240 V d.c. is applied accross the gap into which the air flows. With clean air, a very small ion current flows in the anode circuit, but the ion current is increased when the air contains halogen vapor. The ozotron was used in leak detection equipment; it can detect halogen concentrations of 1 part in 1,500,000. 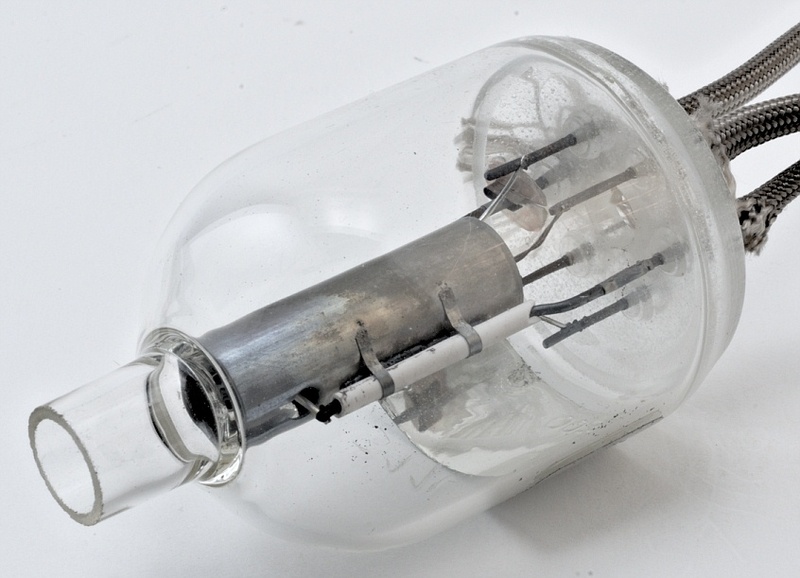 “Goulden et al (A halogen-sensitive detector in complementary or alternative use to an electron-capture ionisation detector, Analyst 88, 1963) attempted to circumvent the problem of the nonspecificity of the electron-capture detector by adding in series with an electron-capture cell a halogen-sensitive cell of the type used in refrigeration leak detection. They used an A.E.I. 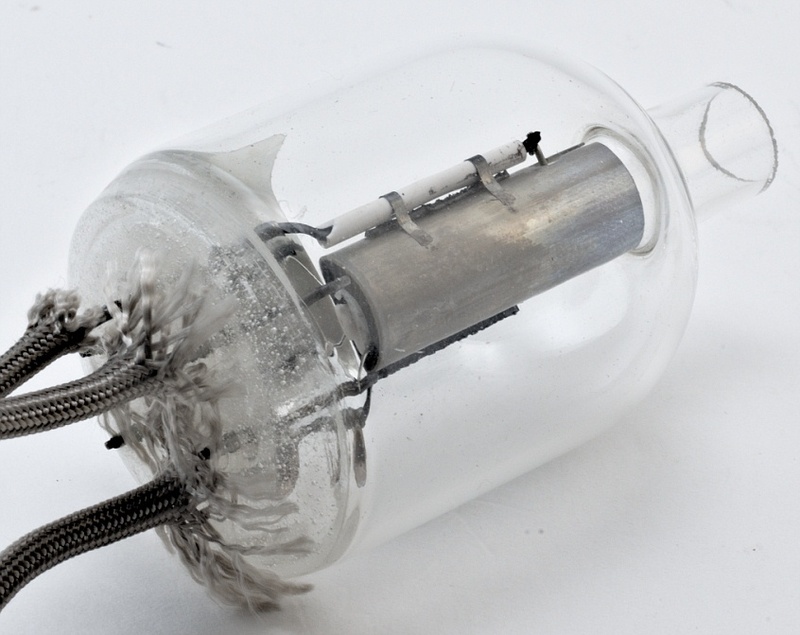 Ozotron Type H halogen-sensitive element (Associated Electrical Industries, Ltd., Leicester, England) and a borosilicate glass-enclosed chamber containing a pair of concentric platinum cylinders through which air may be drawn at the rate of 150 ml per minute. 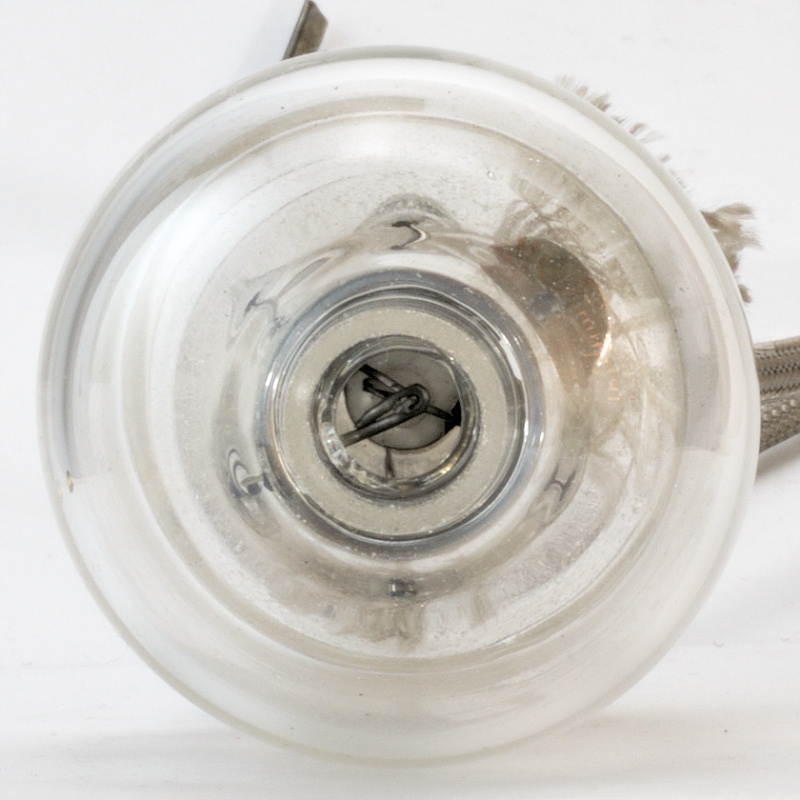 It is worth noting that the anode platinum cylinder was alkali treated. Heat is derived from an internal platinum filament which takes a current of 7.4 A at 6 V A.C., and operated at a temperature of 800°C. The anode-cathode potential of 250 V D.C. was used, producing a positive-ion standing current that could be amplified. Air containing halogen vapor, passed through the cell, increased the positive-ion current and was a measure of the amount of halogen present.